I CAN'T RESPOND THAT QUICKLY! Let us know peace - For as long as the grass shall grow. It isn't too late. We still have time to recreate and change the value system of the present. We must! Survival will depend on it. Our Earth is our original mother. She is in deep labor now. There will be a new birth soon! The old value system will suffer and die. It cannot survive as our mother earth strains under the pressure put on her. She will not let man kill her. We must all stand together as a force of love. Be united NOW. There is only one way. Communication. Knowledge. Arm yourself with truth, love and perseverence. Extend your family. Join with others in giving. We are all related. People of the earth take back your heritage. I am not speaking of skin color or religion. Our heritage is this earth... Our heritage is also extended beyond this earth into the heavens where the spirit once lived before our birth into this world. You are bound to both. for the good of Its children." Native American Names - What are they called? Northern Plains Region - Colorado, Montana, North Dakota, Nebraska, South Dakota, Utah, and Wyoming. on the history of the Pueblo, FAQ, current events, a photo album and maps. Visitors' guide, community calendar and local attractions. Why doesn't an igloo melt inside? The igloo, a temporary winter hunting shelter to the Alaskan Eskimo does, in fact, melt inside, but not to a great extent. The First Landless Tlingit Internet Support Group. related to Alaska Native knowledge systems and ways of knowing. "Algonquian" is not the name of a native tribe or nation; it is a language family, like "romance" or "indo-euoropean". There are no "Algonquian Indians". There are dozens of North American Nations that speak Algonquian languages all across the United States, but the languages and their speakers are as different from each other as French and Spanish and Italian are. Most of the New England tribes spoke Algonquian languages, and many of the "Indian" words common in English today - such as raccoon, succotash, Massachusetts, moccasin, etc. - are from one or another of the Algonquian languages, such as Abenaki, Wampanoag, Nipmuc, Penboscot, Shawnee, Delaware, etc. Official website of this California band, with tribal council information, history, and a legend. Cahuilla language information and the culture, history and genealogy of the Cahuilla Indians. Canadian Aboriginal Links: Canada & U.S.
Nunavut Tunngavik Incorporated, o give Inuit control of their destiny, strengthen their unity, and promote Inuit culture, language and values. The Tropical Rainforest in Suriname: A Multimedia tour through the rainforest in Suriname (SA). Read about plants, animals, the Carifb Indians and Maroons. Cherokee Observer - is the only independent Cherokee newspaper. descendants of the Ridge faction. Historical, societal, and linguistic notes on the Chinook people. Here you will find current events, news, history, culture and more. the Internet Public Library. Native American Authors: Browsing by Tribe. Coharie Tribe. Return to Native American Authors | IPL Home. The Coharie Tribe of North Carolina are descendents of the Neusiok Indian Tribe. Their tribal enrollment includes about 1,350 people, most of whom like in Harnett and Sampson Counties. LA Coushatta Tribe. OR Crow Creek Band of Umpqua Indians. OR ... MT Crow Tribe. The Plains Indians culture area is to the west; the Subarctic area to the north. The Indians in the Eastern Woodland Culture lived east of the Plains Indians. Back to the master list of North American Indian tribes. "Currently living in the Four Holes area of Dorchester County and the Little Rock, or Creeltown area of Collenton County in South Carolina, are currently known as Edisto Indians. They were originally called Kusso - Natchez, but have been referred to as Edisto Indians most likely due to the fact that they have always lived near the Edisto River." Education, Law, Treaties, Land Claims, Tribal sites, Nunavut and Inuit, Cultural, Education; ArtPage; First Nations Forests and Waters; Government; Business; Maps. Gabrielino Heritage May Be Proven With DNA Samples - OCB Tracker article. Puvungna - the Native American village which once occupied the land where Cal State Long Beach now stands. Information on the struggle to protect and preserve the site. Satwiwa Native American Cultural Center - dedicated to Chumash and Gabrielino/Tongva cultures and offers hikes with Native American guides, a gallery, multi-media presentations, workshops, and bookstore. Halifax (Haliwa-Saponi tribe). Harnett (Coharie tribe). Hertford (Meherrin tribe). a complete online version of the original printed book from the University of Arizona Press. Houma language information and the culture, history and genealogy of the Houma Indians. the official page of the Tsnungwe Council, by tribal member Danny Ammon. Jean de Brebeuf (1593-1649). Jesuit Relations of 1635. Description: An extensive site about the Innu, part of the Newfoundland and Labrador Heritage Web Site. created by Minnesota State University - Mankato. of the Innu Nation and Mammit Innuat. Collection of links for the Innu, put together by the Arctic Circle project of the Library of the University of Connecticut. the home page for the new Native Canadian territory. - from the Canadian Museum of Civilization. Koasati (or Coushatta) of Hickory Ground. Kootenay language information and the culture, history and genealogy of the Kootenai Indians. 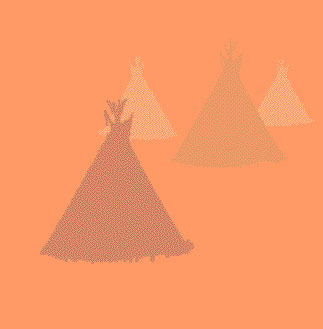 Main article:Lakota people ... Pages in category "Lakota tribe". Lumbee:North Carolina. Lumbee Indian people. The Bear River Band of the Rohnerville Rancheria is a federally recognized tribe of Mattole and Wiyot people in Humboldt County, California. Mattole. The very closely related Bear River and Mattole varieties of California Athabaskan ... In Robert F. Heizer, ed., Handbook of North American Indians, Vol. Mattole (Wishosk name) An Athapascan tribe whose principal settlements were along Bear and Mattole Rivers, California. This guaranteed future hostilities between the Illini and the Meskwaki. were burned accidentally at Kekionga; during an expedition led by Col. Josiah Harmar in 1790. Origin of the Miwok, Siberia? Articles in category "Modoc tribe". There are 5 articles in this category. C.
The Klamath tribe to the north of the Modoc were good friends of the Modoc people. The Stockbridge Munsee Tribe of Mohican Indians in Wisconsin. Welcome to the Narragansett Indian Tribe Online! Navajo Roots of Harrison Lapahie Jr. Interpretive Center is presented by the Wallowa County Chamber of Commerce. Probably their most interesting feature was their reputation among other tribes for the spiritual power of their shamans. Unfortunately, some of their neighbors were also prone to accusing them of sorcery as a result.